Cymatium peryii sea shells are thick and heavy like stone. 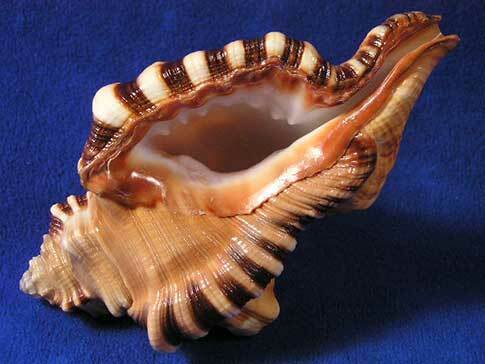 They have masculine knobby body whorls with dark brown and white banded ridges. AKA: Perry's Triton. They're found in offshore waters of southern India.